Hernandez fills a big need for the Vikings on the offensive line. At the senior bowl Hernandez’s big week was the talk amongst most of the NFL scouts and coaches on hand. With Joe Berger and Nick Easton both pending free agents, Hernandez and his 6’2” 348 pound frame would fit in just nicely. Not the sexiest first round pick but Hernandez would provide much needed stability up front for whoever starts under center and is great in the run game for when Dalvin Cook makes his return. 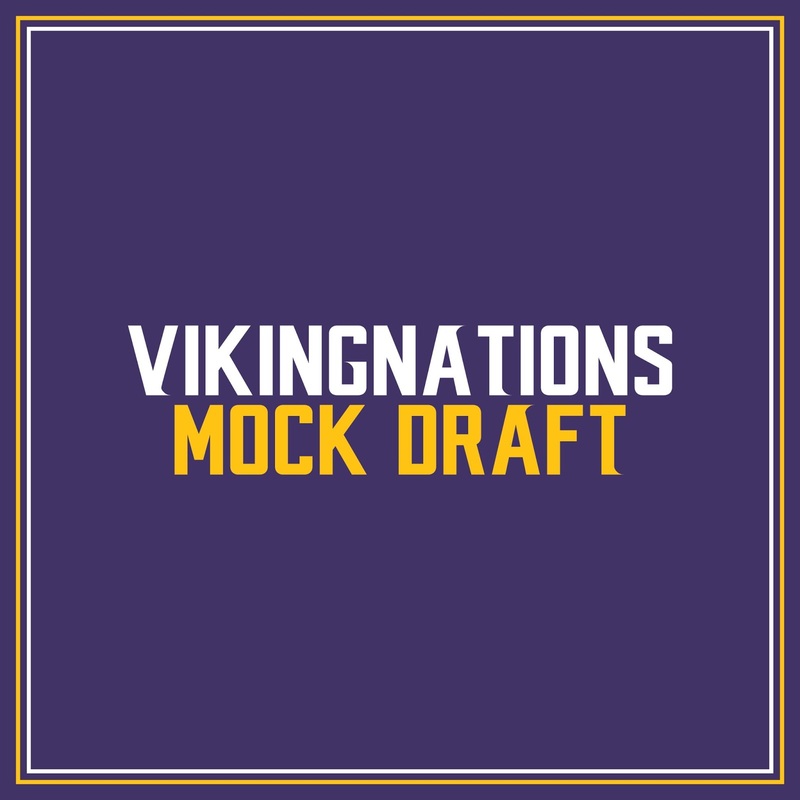 Fatukasi is the perfect fit for a Mike Zimmer defensive line. At 6’4” 315 pounds has great speed in the pass rush and the ability to shed blocks in the run game. With Tom Johnson hitting free agency and the health of Sharrif Floyd, this could be a steal for a 2nd round pick. In his career Fatukasi had 21 tackles for loss, 14.5 sacks and 4 forced fumbles to go along with 170 total tackles. Hill’s off the field troubles will force him to slide as normally he would be a 2nd round pick on most boards. What’s there not to love about a 6’3” 200 pound athletic corner who is good at the line of scrimmage and has shown the ability to cover some of the better receivers in the pass happy Big 12. With Terrance Newman’s age and the way the Eagles were able to shred Mackensie Alexander and Trae Wayne’s in the NCF Championship game, Hill could be a nice addition with his size and speed for Zim’s secondary. Wieneke did not go to a big school but looking at his numbers you’d never be able to tell. Over his Football Championship Subdivision career Wieneke had 288 receptions for 5,157 yards and 59 touchdowns. At 6’4” 213 pounds Wieneke can play inside and out and would give the Vikings a much needed big physical receiver. Don’t know how much longer Jarius Wright will stay around since he can only play the slot and I think the Laquon Treadwell experiment may be coming to an end. Phillips is one of those guys with raw power who can block anyone to the ground. He also is the guy who can get beat off the block as well. At 6’3” 324 pounds scouts say Phillips has the strength and power to be a good pass protector but is better in the run game. The negatives are bad hand placement and he could get beat off the line by a faster opponent. With all that said one AFC East scout said Phillips is the strongest guy on the field and has the ability to be an enforcer.